I had a 2:00 appointment today. The staff did not let anyone know that he was running behind. I waited for 1 1/2 hours in the waiting room. When I was finally called back to the exam room, I was told it would be another 30 minutes. So I left. The only way I will reschedule is if they call me and apologize. Then I will ask for the first appointment in the morning or the first appointment after lunch! After test were performed on me I waited two weeks for a call from Dr. Allison. No call came. I called and talked to nurse. She said Dr Allison and herself had been out of office for a few days. I told her about complications that I was having.Said Dr Allison needed to communicate with Dr who performed tests. Tomorrow Thursday 25th of May will be 3 weeks since test were performed. Still no call from Dr. Allison. Very kind and gentle physician. He answer all my questions in detail. I would highly recommend him. Dr. Alison is a great surgeon. I had a bilateral mastectomy in November 2016 and he has done a great job. Dr. ALISON does outstanding work! He did a brow lift , eye lids, lipo on my double chin, hernia repair, muscle repair, tummy tuck with lipo, he did lipo on my sides and bra fat, he also did lipo on my hips and back, inner and outer thighs and knees. He way exceeded my expectations!! 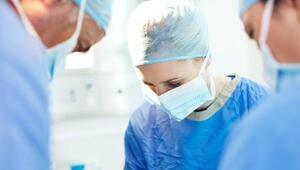 I have had concerns after surgery he quickly returned my calls himself and calmed me down and resolved my problems. I would highly recommend him. Dr. Alison has treated me for 17 years for melanoma. 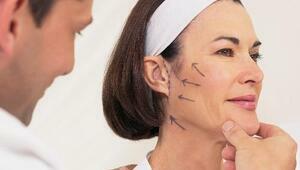 He has been conservative in my treatment and his skills has removed scars left by previous surgeon excision. Highly recommend Dr. Alison and his staff for the excellent care they provide.